Red Hen Press, 9781597090407, 174pp. 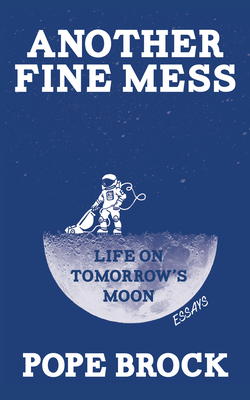 The answer is the moon of course, and that's what this book explores: the many ways in which today's scientists, entrepreneurs, architects and, yes, a few loonies are working to get colonies established there ASAP. Filled with research, interviews and expert projections, these pages reveal how a web of fantastic new technologies could give mankind a brand new start off-world. The only worm in the ointment is human nature. It's the one thing pioneers in this business almost never discuss. Yet it's of vital concern: given a second chance on the moon, will we use it to create at last a sane and peaceful society? Or will we make a desperate hash of things all over again? Here's your doorway to the moon of tomorrow. Pass through and decide for yourself.